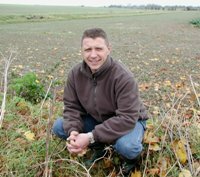 Andrew Nottage, who farms Russell Smith Farms in Cambridgeshire, is not only a farmer but a custodian of the countryside. As a LEAF farmer, Andrew is committed to producing good food whilst protecting and enhancing the wildlife on the farm by practising LEAF’s Integrated Farm Management (IFM). The Farm is LEAF Marque certified. This means that much of the food grown on the farm is sold to supermarkets and carries the LEAF Marque logo on packaging. Ontilili farm is located in Nanyuki, Central Kenya. 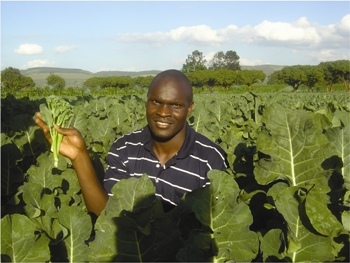 Situated at an altitude of 1800m on the equator, just under Mount Kenya, it offers ideal year round growing conditions. The farm is set out on 1 ha blocks with a central temperature controlled packhouse and modern facilities that fully comply with LEAF Marque standards. 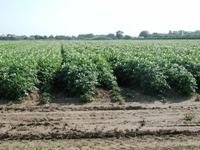 Crops grown are Mange Tout, Sugar Snap, Baby Corn, Courgettes, Leeks, Stringless Beans, Runner Beans, Broccoli and Carrots. Ontilili believe in optimal utilization of land and efficient use of fertiliser and chemicals. They practice safe storage and disposal of fertilisers, chemicals and waste material. They also believe in efficient storage and utilization of water and natural resources. Apollo who used to manage the farm, is enthusastic about LEAF and how it helps them farm in a more environmentally responsible way. A detailed survey of all the different species of animals and their habitats found on the farm, especially endangered species, has been carried out, this allows them to effectively control the impact of agriculture on the habitats.